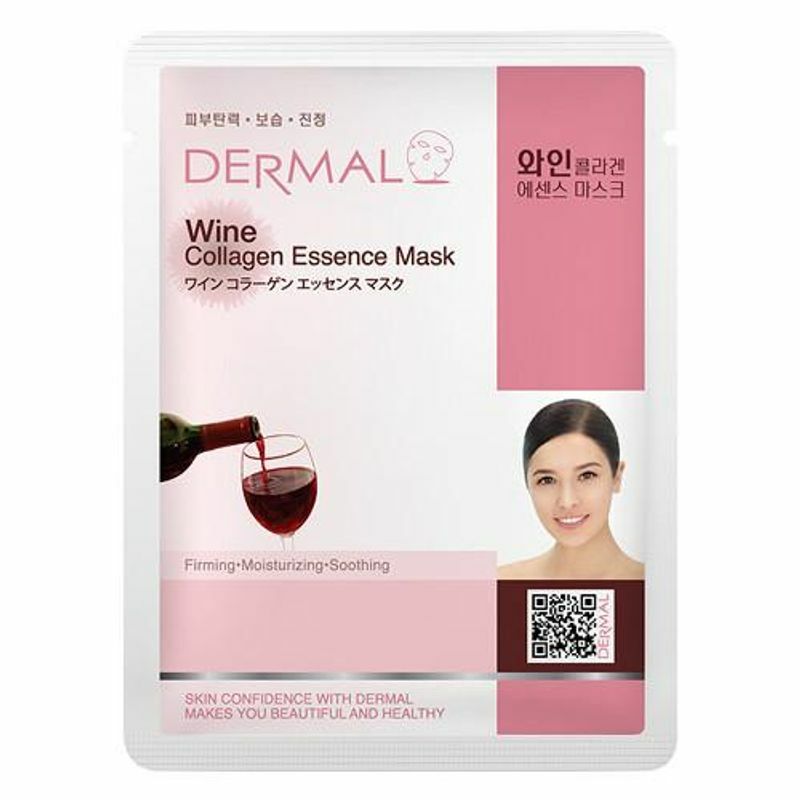 The Dermal Wine Essence Mask contains wine extracts abundant in polyphenols thus it is very effective with anti oxidant benefits providing your skin elasticity while keeping the skin soothing, fresh and healthy. It includes Vitamin E and Collagen which rejuvenates tired skin and improves skin texture and elasticity. It is a new essence mask which specially formulates cosmetics to penetrate highly concentrated active ingredients into the skin while keeping air out of the skin completely thus, it makes your tired skin moistened, elastic, clear and relieves your skin from stress.